The official website of the RErideD: Tokigoe no Derrida original anime series revealed additional cast and staff members on Thursday, as well as theme song performers and a second promotional video. Directed by Takuya Satou (Steins;Gate) and featuring original character designs by Yoshitoshi Abe (Serial Experiments Lain), the anime will begin airing in October 2018. Airing on Wednesdays 25:05 (Thursday 1:05 a.m.) via Tokyo MX and KBS Kyoto, followed by Sun TV, TV Aichi, TVQ Kyushu Housou and BS11 starting October 3. 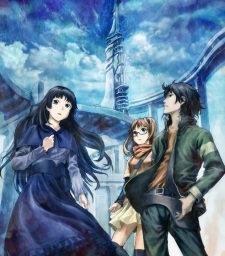 Hikari TV and other streaming site will stream the anime.